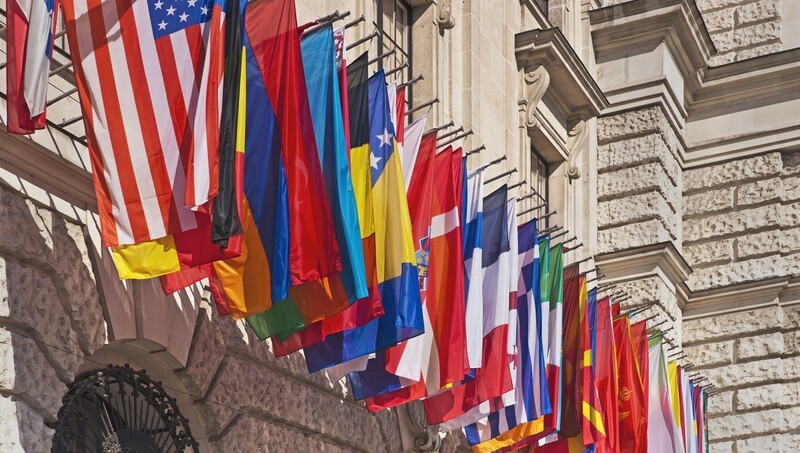 The extensive international law practice of Jackson Law International spans across the Atlantic through its representation of German-speaking individuals and companies headquartered in Europe. Recognizing the international scope of this firm’s practice, the Asociación Europea de Abogados honored this law firm by extending a membership invitation to Jackson Law International this year. This organization (“the AEA”) has a strict process for the selection of its membership with the intention of offering to the public legal services that are based upon a uniform quality of standard and unimpeachable ethical standards among its membership. The AEA is recognized as the world’s largest network of international law firms. The AEA was founded in the European Union and, consequently, has strong roots in Europe. However, in time the organization has expanded on a global basis. The Jackson Law Firm is honored to join 760 legal offices world-wide, comprising circa 5,000 individual members. The AEA is the only network of attorneys that covers each and every one of the 196 independent countries of the world. Through its membership in this organization, Jackson Law International intends to build upon its professional relationships with attorneys practicing world-wide in the field of international law. Given the globalization of the world we live in, individuals and corporations require more and more with each passing day legal representation throughout the world. The clients of Jackson Law International can turn to us, knowing that if they require assistance outside of the United States, they can rely upon us for recommendations of attorneys on a world-wise basis. We encourage you to explore our website to learn more about Jackson Law International, its attorneys, and the firm’s practice areas. Our international experience allows us to assist clients in international matters, and the firm looks forward to the opportunity to put that experience to work for you. Feel free to contact us via email to discuss your matter. An international approach to litigation. Jackson Law International offers representation to prospective clients in a broad range of litigation matters, and often such disputes arise in the international context, requiring an international approach to litigation. Such cases, which consist of cross-border disputes among parties, are referred to as International Litigation or Transnational Litigation. This type of litigation involves the handling of lawsuits in connection with disputes that arise among businesses or individuals which/who are based or reside within different countries or, at minimum, are located in a different country than that within which the lawsuit is to be prosecuted. The attorneys of Jackson Law International are experienced in handling complex jurisdictional, procedural, and substantive issues that can arise in these international disputes. These types of international disputes range from business / commercial disputes to personal injury lawsuits, and the firm’s attorneys are prepared to bring their diverse experience in handling International Litigation matters to bear in the handling of your particular issue. The attorneys of Jackson Law International are particularly sought after in such disputes where additional language skills in German, Russian, and Spanish are required. International Litigation requires from the outset particular attention to issues of personal and subject matter jurisdiction, forum selection, and service of process. Not utilizing experienced attorneys can result, for example, in a party needlessly subjecting itself to a court’s jurisdiction and/or can lead that party to have to litigate in an inconvenient forum. Choice of law issues often require careful legal analysis, and the determination of which jurisdiction’s law to apply in the lawsuit can well dictate the outcome of the case. Once a lawsuit is under way, it is similarly important to be able to rely upon counsel experienced in obtaining evidence from abroad to properly prosecute or defend the case. In some instances, a judgment may already have been obtained, and the need to domesticate and enforce a foreign judgment requires experienced counsel within the United States. The attorneys of Jackson Law International are experienced in these areas of Private International Law, and the International Law division of this firm draws heavily from the significant experience its lawyers have achieved in the underlying substantive areas of law upon which the attorneys must depend in order to pursue their clients’ legal interests. When it comes to litigating matters within the United States, the attorneys of Jackson Law International are licensed in multiple jurisdictions such as California; Colorado, Florida; New York; Texas; and Washington, D.C. Moreover, we have a vast network of lawyers around both the United States and the world with whom we work together in such matters – our local counsel – to ensure you receive exemplary representation. Presently, this firm is involved in cases throughout this country either directly or in a coordinated fashion with other leading firms to provide the best possible representation to our clients. International Litigation typically presents the courts, attorneys, and parties with unique challenges that fall outside of the general experience of law firms that have not routinely handled such matters. Our international experience allows us to provide a level of service to our clients that is, in most instances, simply too difficult for the typical American law firm to duplicate. Jackson Law International takes pride in its international experience, and looks forward to the opportunity to put that experience to work for its clients.